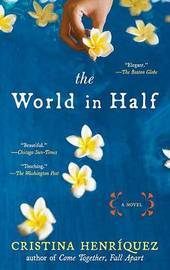 Now in paperback, the "beautiful" (Chicago Sun-Times) novel from the prizewinning author of Come Together, Fall Apart. Miraflores never knew her father, and never thought he wanted to know her. But when she returns to the Chicago suburb where she grew up to care for her ailing mother, she discovers that her mother and father were greatly in love, and that her father had wanted a daughter more than she could have imagined. Now, Miraflores secretly plots a trip to Panama, in search of the man she hopes can heal her mother-and who can help her find the pieces of her own identity. What she finds is unexpected, exhilarating, and holds the power to change the course of her life. Cristina Henr quez is the author of Come Together, Fall Apart: A Novella and Stories and the forthcoming novel The World In Half. Her stories have been published in The New Yorker, Glimmer Train, Ploughshares, TriQuarterly, and AGNI, and her non-fiction has appeared in The New Yorker, The Oxford American, and Preservation. She was featured in Virginia Quarterly Review as one of "Fiction's New Luminaries," and is a recipient of the Alfredo Cisneros Del Moral Foundation Award, a grant started by Sandra Cisneros in honor of her father.She earned her undergraduate degree from Northwestern University and is a graduate of the Iowa Writers' Workshop. She lives with her husband in Chicago.